HomeNewsUnholy Alliance?-When Sadness Rejects Mistrust; And Suspicion Roams The Corridors Of Purged Hope; Indeed, Signs Of Greater Things To Come? What appears to be equipped with the full potential to purge a legitimate collaborating segment of the governing Coalition of Democratic Change (CDC) thereby rendering it a political orphan is simmering gradually with disturbing signals reflecting what one political analyst terms as an unholy alliance nearing a crack in the bearing of cohesiveness. For some time running, the former ruling National Patriotic Party (NPP) now a full-blown collaborating factor of the CDC has been plagued with leadership crisis which once landed it at the National Elections Commission (NEC) for prompt settlement which did not amicably resolve the internal wrangling that has developed into an acute rift with elements pointing fingers at each other for the quagmire the party is in politically. At the same time, despite being saddled with internal conflict and a strained relationship with the Coalition, the party is also on record for expressing disenchantment over marginalization by President George M. Weah’s leadership when he started the formulation of his government. The party expressed concerns that its members were not being considered for possible appointments. However, the bad blood between the recently expelled Chairman James P. Biney and the standard bearer of the party, VP Jewel Howard Taylor erupted, as reported by a local daily that “this is the real issue, Mrs. Taylor invited me (Biney) and told me she wants to contest the Presidency [in] 2023, and that she needs people to join me to remove the Party from the coalition and I said ‘Mrs. Taylor that will be the saddest mistake you will make because we have a lot of work to do so if that is what you are thinking about wait for 12 years’ and she said the Party is her husband’s party and if I cannot conform to her proposal I should leave the party.” Again as the row deepens it was also reported that Biney accused VP Taylor of looking for surrogates and stooges to create crisis, while responding to allegations that he is intending to merge the NPP with the CDC, he denied and warned the VP to disengage with the fight or she might destroy the Party. “It doesn’t make sense to say I want to merge the NPP with the CDC because to do that it requires a convention and they haven’t provided prove about their claims that I want to merge the NPP with the CDC.” The expelled chairman also disclosed of plans by the party to hold an extraordinary session by the end of November and threatened to deal with the VP in line with the party constitution. He accused the VP of changing the Party’s constitution and forging his signature that gives her unlimited term as standard-bearer of the NPP. But when contacted Monday, November 12, 2018, the Director of Press and Public Affairs at the offices of VP Taylor, Mr. Solomon Ware told FOCUS that the issue is beyond the scope of his office as Director of Press and Public Affairs; rather it is before the offices of the Vice President of Liberia who is also the Standard Bearer of the party. He said despite the fact that his office is aware of the entire episode, he as public relation officer cannot make comment on such at this particular point in time. He said the issue will be handled when the appropriate time comes. Meanwhile, the National Executive Committee of the National Patriotic Party (NPP), one of the collaborating parties of the ruling Coalition for Democratic Change (CDC), has termed statement coming from members of the Governing Council of the Coalition on the reinstatement of its Chairman as high level of interference in their party. NPP, recently, expelled its party’s Chairman James P. Biney former Representative of Maryland County, on what the party terms as “gross misconduct and breach of the by-Laws and constitution of their party”. But according to report, Chairman of the Coalition for Democratic Change Mulbah Morlu on Wednesday, November 7, 2018, called on the National Executive Committee of the NPP to go back to status quo ante, adding that President George Weah will not do business with the NPP should it refuse to reinstate its Chairman. Addressing the news conference in the Charles Ghankay Taylor Conference Room at the party Headquarter Thursday, November 8, 2018, the Acting National Chairman of NPP John Gray said the statement coming from other members of the Coalition contravenes the functionary spirit and intent of the coalition agreement. “It is, therefore, inconceivable on the parts of Mr. Mulbah K. Morlu, Moses Kollie, Mr. Janga Kowo and suspended Bolton Dennis, purporting as agents of the governing Council to come up with a statement challenging the decision of the National Executive Committee of the NPP,” Gray noted, adding, “this matter that is solely the internal prerogative of the NPP.” Gray pointed out that the “NPP wishes to state that, no constituent member of the Coalition or the governing Council has the authority to interfere with the enforcement of law and order in any of the three political parties. He made specific mention that “this is why; the National Executive Committee of the NPP did not interfere with the Congress for Democratic Change’s decision to have Mr. Nathaniel Mcgill replaced by Mr. Mulbah Morlu, instead of Mr. Garblah Williams, its Vice Chairman for Administration who is the second in command.” The Acting Chairman also called on officials of the Coalition’s Governing Council that their decision to join the Coalition was in good faith and will do nothing to undermine the peace and stability of the country and the Coalition-led government, the report intoned. It can be recalled that conflict rocked the National Patriotic Party (NPP); partisans burst into fist fight with some accusing VP Howard-Taylor of planting seeds of devilish attempt, as NPP’s Executive Committee expels Chairman James Biney Serious riot recently ensued at the headquarters of the NPP in Congo Town, which resulted to the injury and incarceration of several partisans. Those who sustained injuries are reportedly sought treatment at major hospitals in Monrovia while some partisans were incarcerated at the Congo Town Police Depot. The situation took place when Executive Committee members of the NPP assembled at the party’s headquarters for a special meeting. Speaking to OK FM minutes after the riot, some partisans believed to be stakeholders of the N PP alleged that the Executive Committee’s meeting was convened on the order of the party’s standard bearer Vice President Jewel-Howard Taylor without the consent of the party’s Chairman James Biney. The aggrieved NPP’s stakeholders include Eric Kennedy, former Assistant Secretary General; Alexander Shannon, former Assistant Secretary General for Operations and Mobilization and former Deputy Campaign Manager for Grand Kru County, Sakajipo Sakajipo. 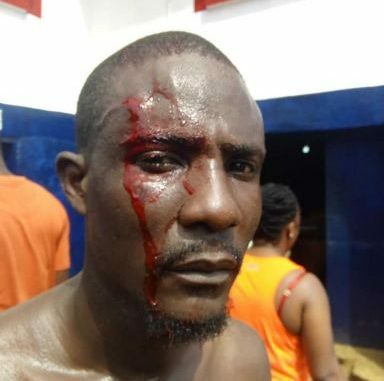 According to the NPP’s stakeholders, supporters of Vice President Taylor prevented them from entering the premises of the party headquarters, stating they were being attacked with stones thrown by some executive committee members. They have however accused the Vice President of reinstating officials who left the party during the heat of the campaign in the country, and recommending non-partisans of the party to positions in government. Moreover, the Office of Vice President Jewel Howard Taylor has confirmed the expulsion of Chairman Biney from the NPP for allegedly taking decisions against the interest of the party. The Director for Press and Public Affairs in the office of Vice President Taylor, Solomon Ware said the meeting was not convened by directive of the Vice President rather the Executive Committee of the NPP.